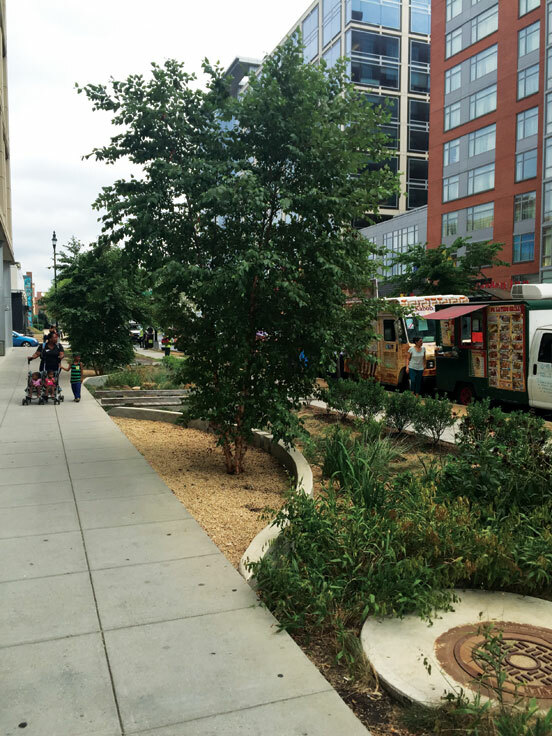 Storm water is getting a lot more expensive for developers in Washington, D.C. In 2013, the Department of Energy & Environment (DOEE) modified its storm water management regulations to greatly increase the amount of storm water that must be managed on private property. As of July 14, 2015, the revised regulation is fully in place, and private property developers now are required to bear some of the burden—and cost—of reducing storm water runoff into the waterbodies surrounding the District. DOEE also has implemented an innovative storm water credit trading program, however, which promises to provide financial benefit, design flexibility and community benefits to District-area property developers. The 2013 Stormwater Rule applies to two types of projects: “major land disturbing activity” (meaning a man-made change to the land surface, such as clearing, grading or excavation, that potentially changes its runoff characteristics) or “major substantial improvement.” Major land disturbing activity falls under the regulation if the project disturbs 5,000 cu ft or more of soil, while substantial improvement projects trigger the regulation if the structure’s footprint is 5,000 cu ft or greater and when renovation costs exceed 50% of the pre-project assessed value. Following the recently concluded transition period, the 2013 Stormwater Rule applies to all projects in the District that fit in one of these two categories. 1.2 in. of rainfall in a 24-hour period. Major substantial improvement projects must retain 0.8 in. of storm water runoff. Developers must manage this runoff with one or more of 13 DOEE-approved green infrastructure best management practices (BMPs.) Approved BMPs include green roofs, rain gardens, porous concrete, constructed wetlands, and harvesting and reuse BMPs such as cisterns—presuming all water is reused on site where it is captured. Recognizing that the cost of achieving this new compliance standard will vary greatly due to property location, type and characteristics, the 2013 Stormwater Rule allows up to 50% of a project’s regulatory requirement to be met off site. Regulated projects choosing to meet a portion of their retention requirements off site can do so by purchasing storm water retention credits (SRCs), or by paying an in-lieu fee to DOEE. Both SRCs and the in-lieu fee are calculated annually, with one SRC or one in-lieu fee “unit” equal to 1 gal of retention for one year. For example, a project required to manage 20,000 gal under the 2013 Stormwater Rule must install green infrastructure BMPs sufficient to manage 10,000 gal in a 24-hour storm event. If a developer chose to meet the remaining 50% through SRC purchases, they would need to buy 10,000 SRCs, 10,000 units of in-lieu fee payments or a combination of both each year to be compliant. Should a developer take advantage of the offsite option, their project can purchase SRCs from any SRC-generating project in the District, and can also “bank” credits, or purchase multiple years’ worth of SRCs at any given time. For example, a project buying 100,000 SRCs would achieve compliance for 10 years. DOEE has designed the program so that maintenance of SRC-generating projects is the responsibility of the seller, so developers electing to buy SRCs can be confident in their regulatory compliance. The objective of credit trading is to achieve least-cost compliance with the 2013 Stormwater Rule throughout the District. Regulated developers for whom meeting the 2013 Stormwater Rule is costly or challenging can save money and increase flexibility by purchasing credits. Property owners that have not triggered the 2013 Stormwater Rule and are able to build inexpensive BMPs can recoup their investment by selling credits, as can regulated developers if they are able to exceed the 2013 Stormwater Rule. Credit trading provides significant financial benefit for certain regulated developers. Some developers may be able to comply with the 2013 Stormwater Rule easily, inexpensively and 100% on site. Others, particularly redevelopment projects, projects in densely developed areas and major substantial improvement projects, may need to use BMPs or be forced to make unappealing design choices. Direct cost savings to developers come from forgoing the use of BMPs on their property and buying credits from SRCs generated by inexpensive retention. 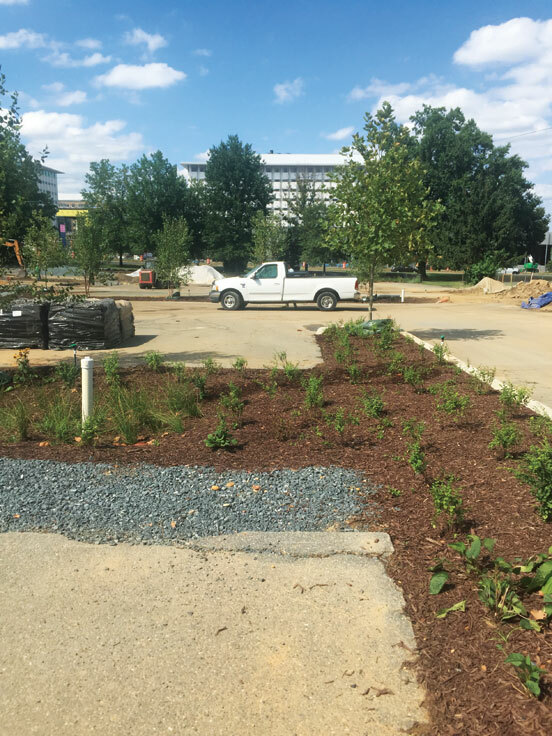 Regulated developers that cannot use ground-level BMPs like rain gardens will be required to meet the 2013 Stormwater Rule through BMPs that can fit within the developed footprint, such as green roofs and cisterns. Green roofs typically are the most expensive BMP; while cisterns can be an inexpensive means of capturing storm water, DOEE requires reuse of the collected water, often requiring additional property investment in plumbing systems. The most substantial benefit to regulated developers, however, may come in the form of indirect benefits. Green roofs and cisterns require use of rooftop and underground space that could otherwise be used for tenant amenities. Reducing the amount of space dedicated to storm water management provides increased design flexibility and allows developers to maximize this space for amenities such as a roof deck, pool or rooftop venues such as bars. Reducing cistern use also can free up space for underground parking, a high-value item in the District. Finally, purchasing credits also is a way for regulated developers to support their community. SRCs can be generated most inexpensively on properties with relatively low land value, and where near-term redevelopment is unlikely. These typically include areas of the District with a high percentage of impervious cover. 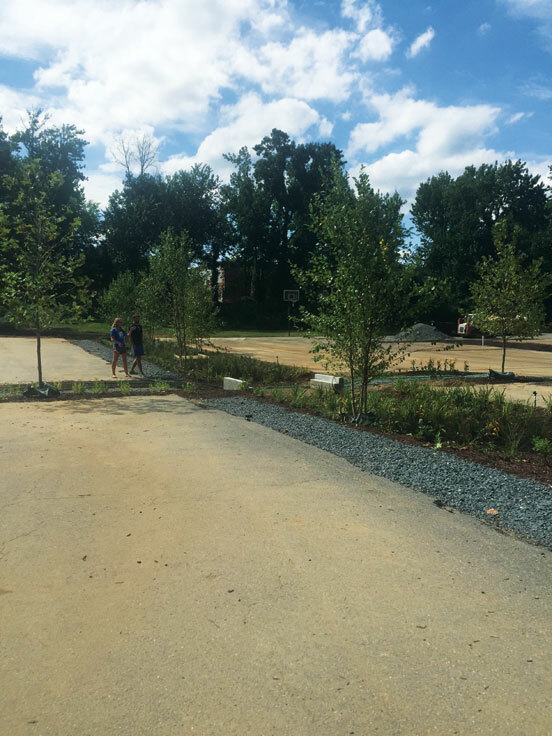 Ground-level BMPs such as rain gardens and wetlands provide environmental and social benefits for these neighborhoods, including green space and reduced localized flooding. Buying SRCs supports investment in these communities and contributes to making the District greener, more livable, and more environmentally sustainable and resilient. Craig Holland is director of product development at NatureVest, the impact investing unit of the Nature Conservancy. Holland can be reached at [email protected]. Jane Silfen is an associate at Encourage Capital. Silfen can be reached at [email protected].